Blue de Gênes Repi N1 Medium Jeans W1085. These 5-pocket jeans have a slim-fit fit and contain a small amount of stretch for extra comfort. 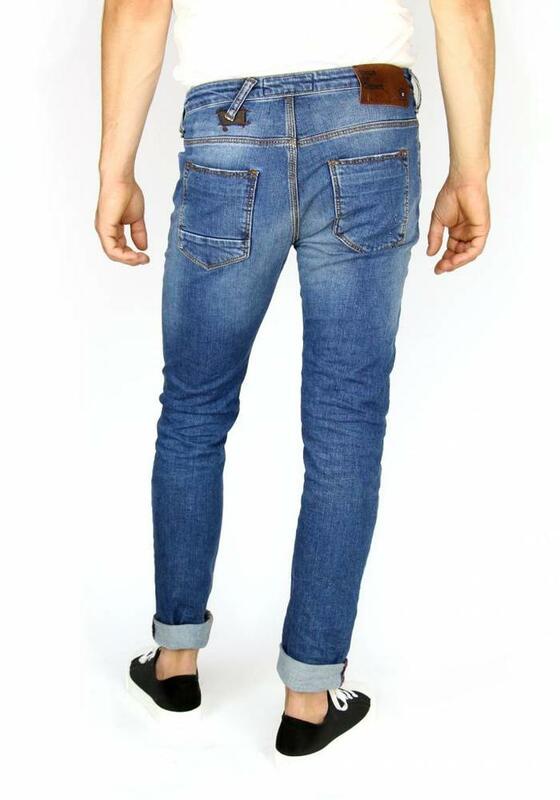 The jeans are mid blue in color with faded spots on the upper legs. 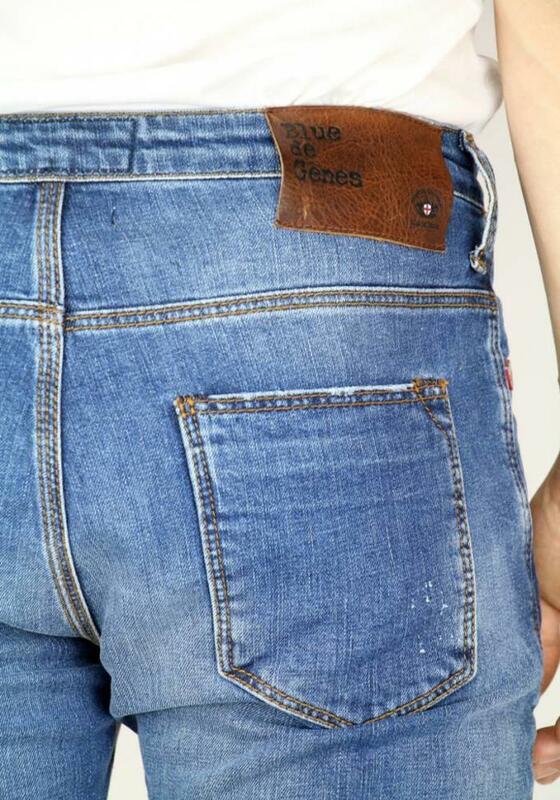 With leather detail at the left pocket and with a leather brand label. 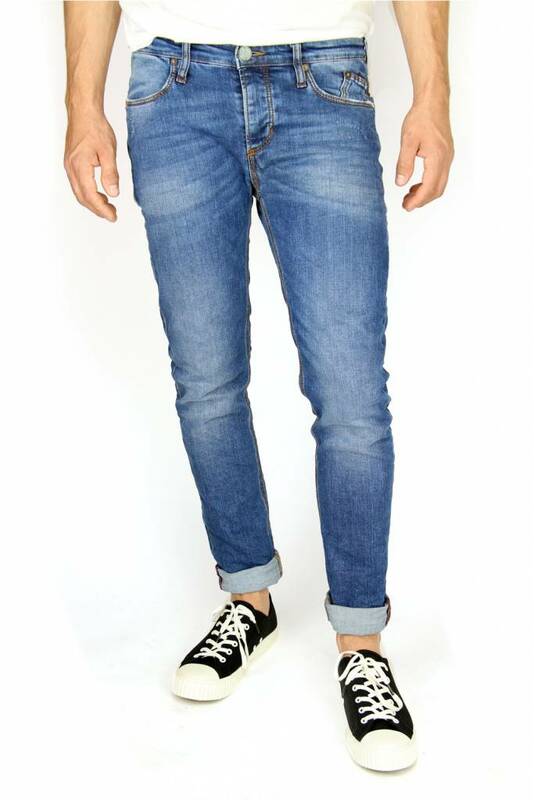 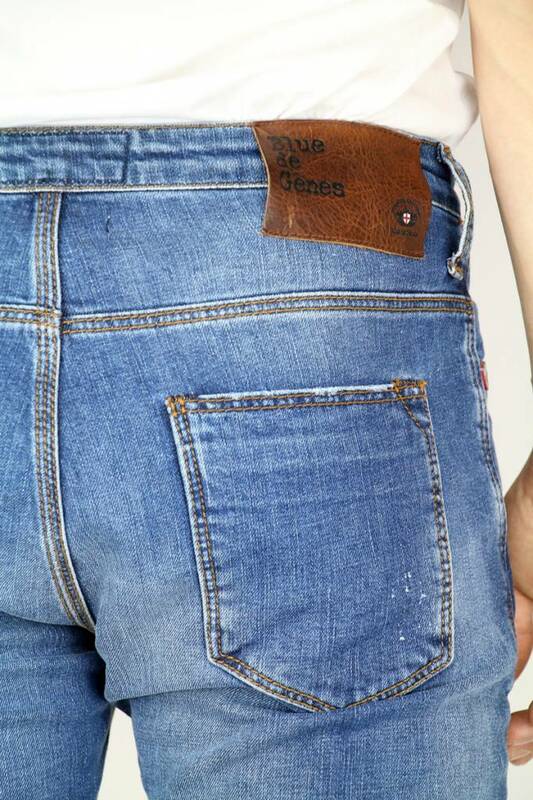 The Blue de Gênes - Repe N1 Medium Jeans is made of 99% cotton and 1% elastane.